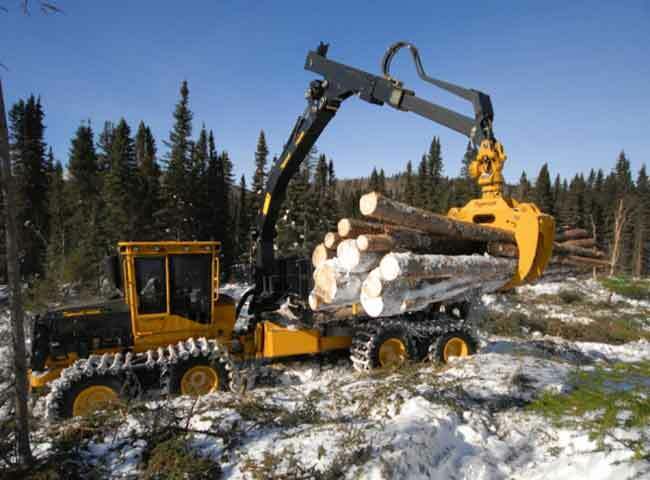 December 7, 2015 - Canadian Forest Industries looks at the latest forwarders available in the Canadian marketplace. The Eco Log D series forwarder range consists of four different machine models, with loading capacities from 10 tonnes up to 19.5 tonnes. Equipped with the latest technology to provide the utmost in power, low fuel consumption and high performance for forwarder operations. The 594D is the largest of the D series, with a 19.5 tonne loading capacity, and a 245 kNm pulling force. With the new 25-tonne capacity 1085B severe duty forwarder, Tigercat has entered a new forwarder class. The 1085B is designed for severe duty applications, such as long-distance forwarding and is well matched to steep slopes. The 1085B is equipped with Tigercat bogies that are well proven in severe duty six-wheel drive skidder applications. 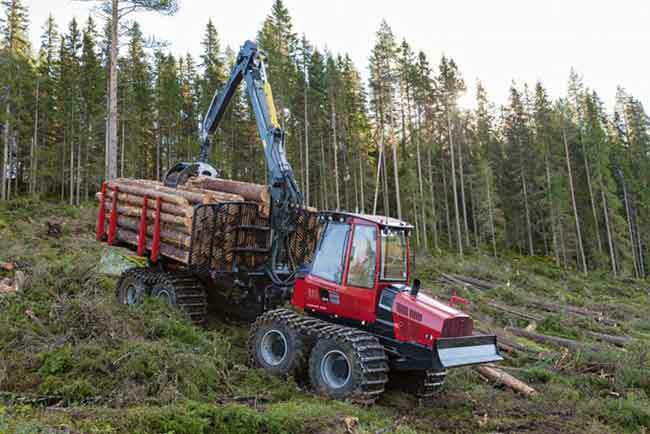 The company’s unique WideRange transmission allows travel at speeds up to 7.0 km/hr with tractive effort sufficient to carry 20 tonne loads up 60 per cent slopes. The most powerful forwarder ever built by Deere, the 1910E sets a new standard for forwarding heavy loads over difficult terrain. Boasting almost 250hp and a tractive effort of 220kN, the 1910E is the natural choice for those encountering steep slopes and large timber which is effortlessly handled by the Deere CF8 loader. And operator comfort is guaranteed by the introduction of the new revolutionary operator station, which automatically levels and rotates ensuring faster load cycles. 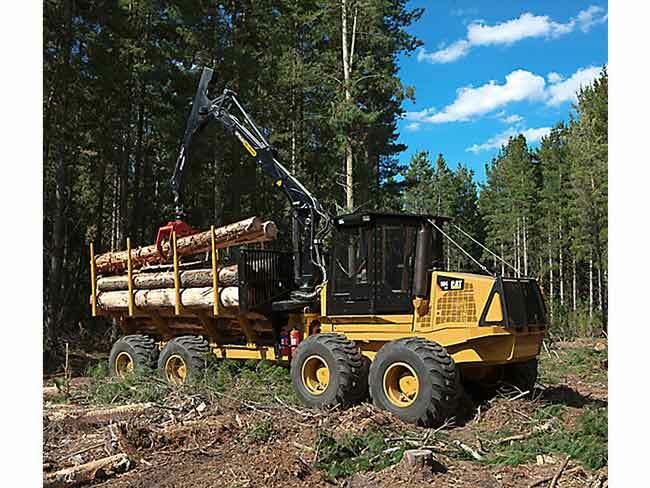 The Cat 584 forwarder meets the demanding requirements of forest harvesting in many variable applications. These heavy-duty units provide comfort, controllability, and serviceability to get the job done in a safe, productive, and efficient manner. The Cat C7 ACERT engine provides 274hp of gross power, with 872-lb.-ft. of torque. With a load capacity of over 44,000 lb., the 584 and 584HD provide a strong solution needed for Canada’s difficult landscapes. 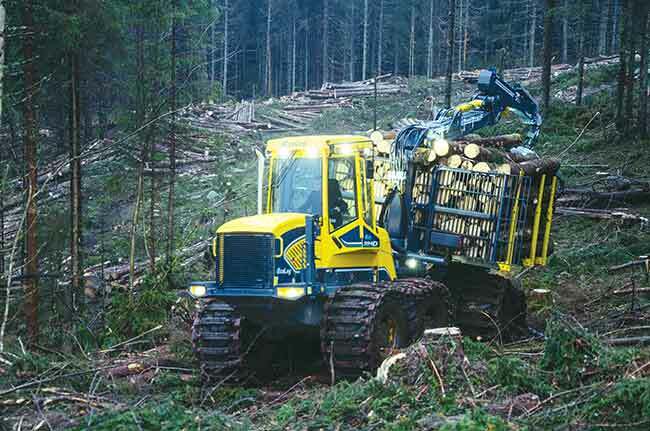 Komatsu 855 and Komatsu 865 are forwarders that are ideal for everything from thinning to final felling, and with two powerful mid-range forwarders, it is now possible to choose the most suitable for the prevailing conditions. Komatsu 855 is responsive and versatile with a load capacity at 13 tonnes and Komatsu 865 is powerful and productive with a load capacity of 15 tonnes. Both forwarders are equipped with the new eco-friendly E3 Power engine. The new engines in the forwarders do not just have a high performance and good working characteristics, but also combustion efficiency, which result in low fuel consumption. 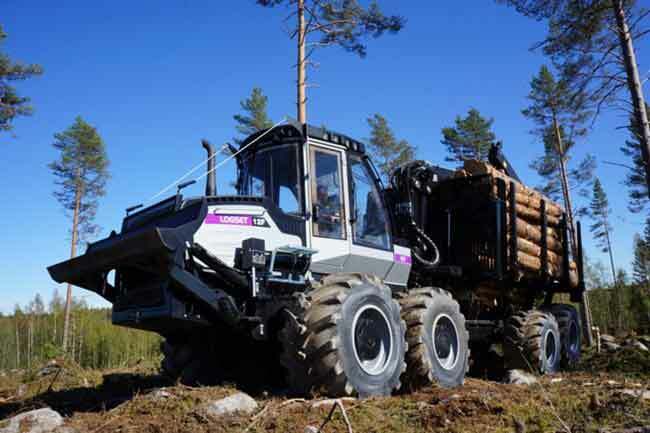 Logset Oy, a Finnish forest machine manufacturer with over 20 years of experience in developing cut to length machines and logging solutions, recently entered the North American market. Logset entered the North American market with its 12F GT forwarder and TH85 harvester head. The 20-ton 12F GT forwarder, a.k.a. 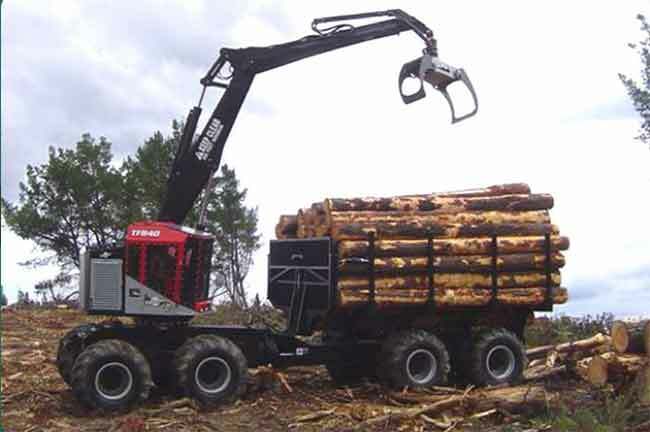 The Silverback, is designed to carry large timber volumes in extreme conditions, while its safety features offer protection for the operator and the engine. The TH85 harvester head cuts trees up to 35.5”. Logset’s distribution network currently covers 20 countries with Logset machines working in more than 25 countries. The new Ponsse ElephantKing forwarder is designed for extremely demanding conditions and heavy loads. The tractive force, powerful engine and its 20-tonne carrying capacity guarantee efficient timber transportation both on sloping sites and during long transports. 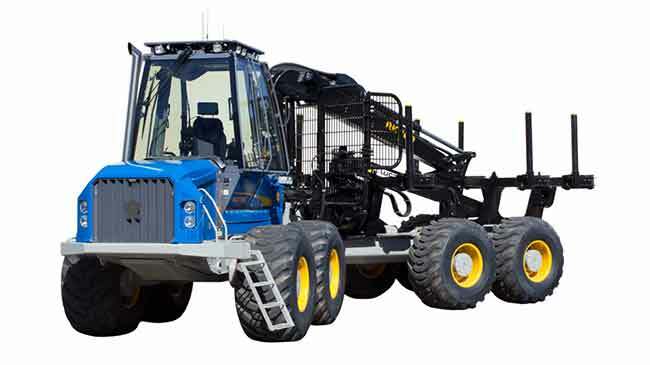 The durable frame structure, strong bogies, sturdy cylinder-powered frame oscillation lock complete with the high ground clearance ensure smooth operation, even under difficult operating conditions. The 612 is a 12-ton machine equipped with a fuel efficient 200-hp Volvo Tier III Engine. The 612 has excellent weight distribution for steep grades and features a full 24” ground clearance. The forwarder features excellent serviceability with access panels and a tilting cab for routine maintenance and cleaning. 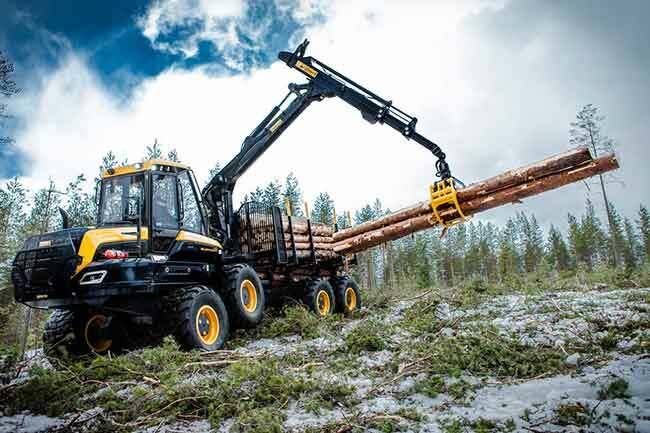 The TimberPro TF 830, TF 840 and TF 810 are built for versatility in the forest. Each model comes standard with 360º continuous-rotation, allowing the operator to face his/her work. The 15-, 20- or 22-ton bogie axles are configured to allow front and rear axles to track perfectly even in the tightest turns. 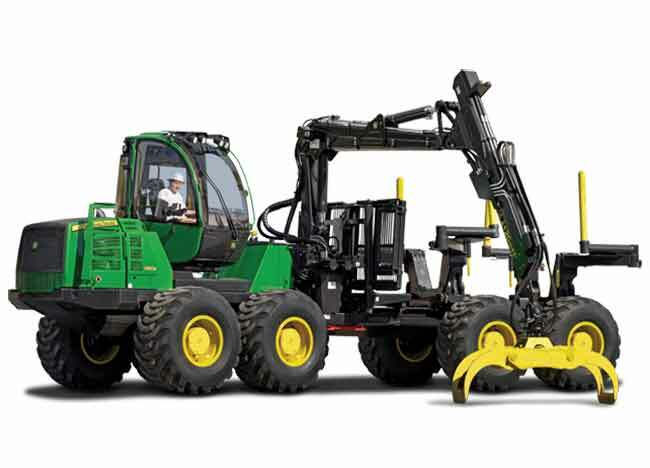 Combination units can handle harvesting attachments up to 4,000 lb. and can change to a grapple in about 10 minutes. The Rottne F18 is a large forwarder with a load capacity of 18 tonnes, providing efficient transport for long forwarding distances. An adjustable load area is available as an option for the F18. The portal bogies, with large wide wheels, provide excellent bearing capacity and smooth and gentle travel. The wagon is available in two frame lengths and the load area has a very low centre of gravity.